After an unusually rainy holiday season, we were raring for a visit to the beach. 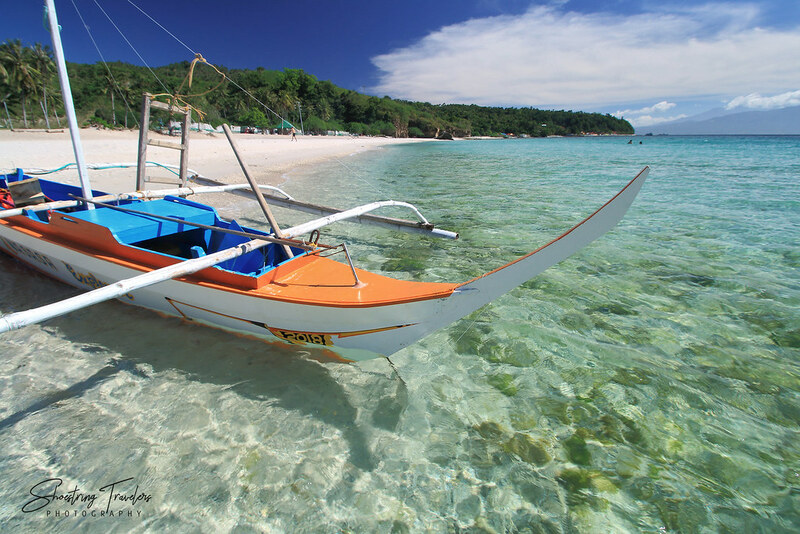 While local tourists usually flock to beaches here in the Philippines during the hot and dry months of April and May it might actually be better to do those trips during the months of January to February. Rainfall and typhoons in most parts of the country are down during that time but the weather is much cooler than in April to May. Last week found us headed towards the town of Tingloy in Maricaban Island in Batangas. We’ve been here less than 3 months ago for a quick visit to Masasa Beach, the main tourist destination in the town and island. But after spending less than 24 hours on the island, we realized it was too short a time to appreciate everything Tingloy had to offer. We vowed to ourselves that we’d be back. The second week of 2019 found us fulfilling that vow. On our first visit we lodged at a homestay inland and had to walk almost a kilometer to get to Masasa Beach (the paved trail to the beach was too narrow for tricycles). This time we made sure to get an accommodation right at Masasa Beach and ended up at Tita Precy’s Kubo where we got to stay at a nice and clean hut. Its beachfront was a fun place to chillax with hammocks right under the cool shade of coconut palms. The northeast monsoon breeze made it even more pleasant. 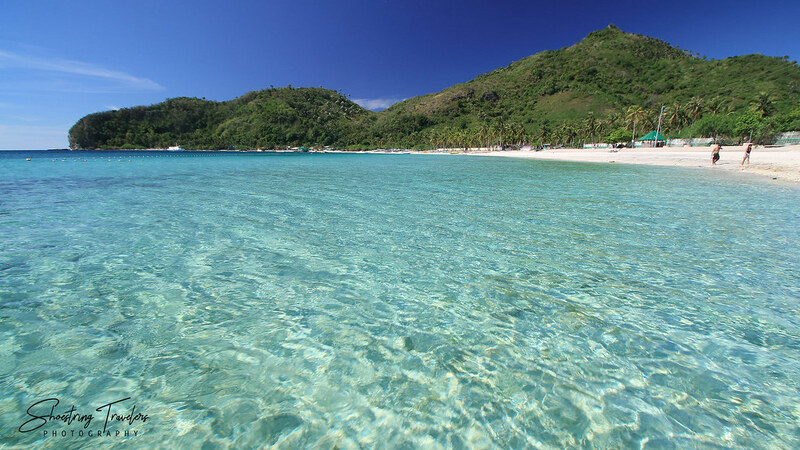 We’ve already been impressed by the quality of Masasa Beach’s white sand and its crystal-clear waters, so no surprises there on our return trip. Our only regret was not being able to snorkel at an area about a hundred meters from shore during our island-hopping trip. Our hosts mentioned that sea turtles may be observed here. 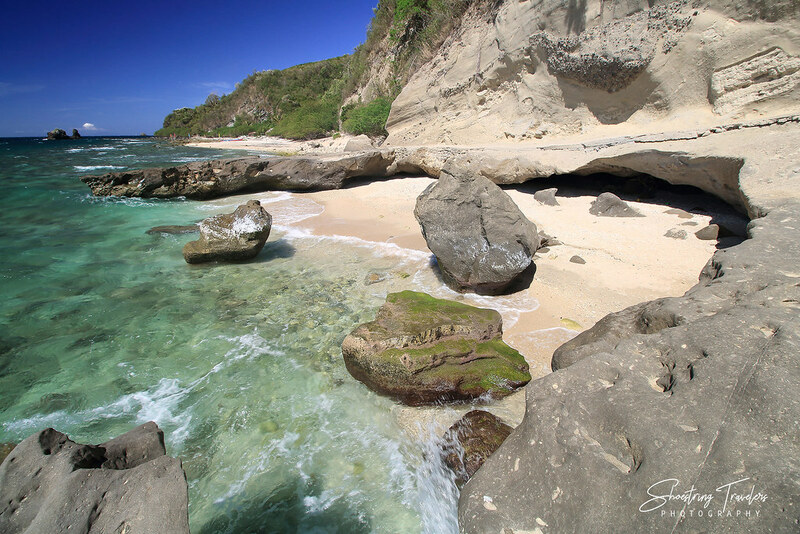 Along Masasa Beach is a rock formation where a series of steps has been carved, allowing anyone to climb up for a neat overhead view of the beach. Leo went up for a quick look and photo shoot. 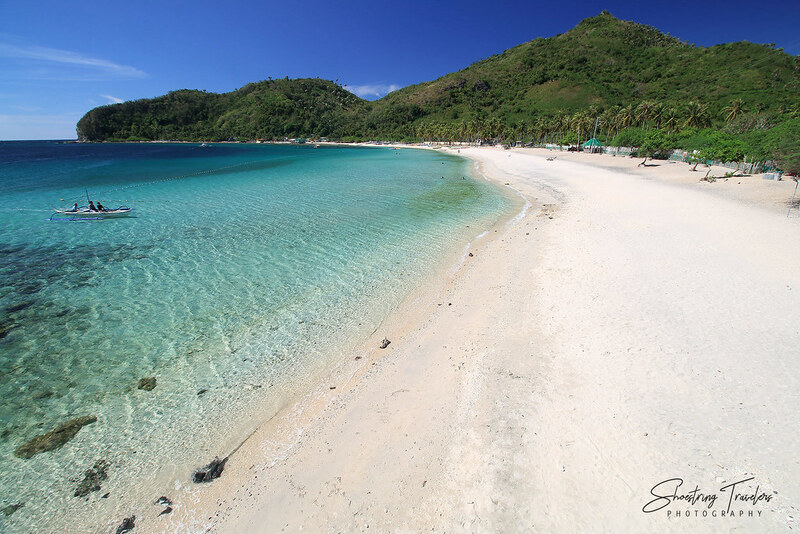 Masasa Beach, however, is just one of the many coves and beaches that make up the coastline of Tingloy town and Maricaban Island. 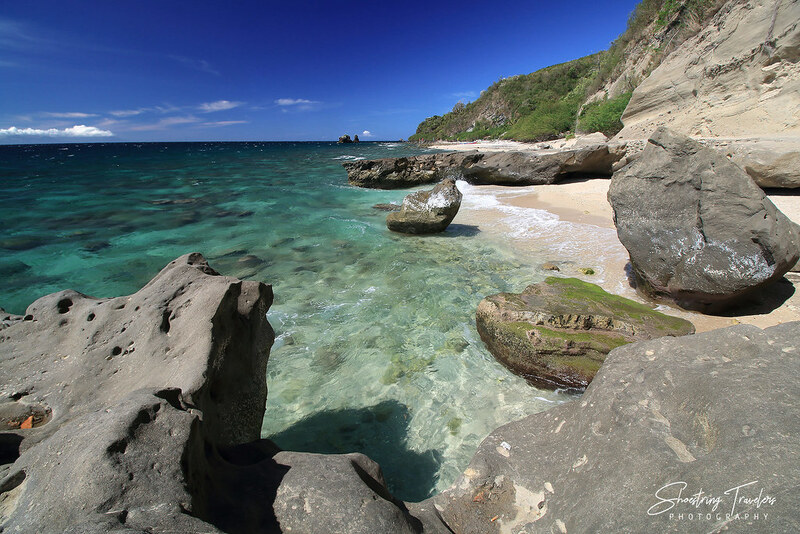 At the western end of Masasa Beach and just a short distance from Tita Precy’s Kubo is the Lagoon – actually two adjacent small coves hemmed in by large rock formations. The first of the two small coves that make up the Lagoon. At high tide this is almost completely filled with water making it a nice swimming pool. Even at low tide this place attracts plenty of swimmers. We’ve only gone as far as the Lagoon during our first visit here. This time we kept walking along a paved path that led through some small communities (including more homestays) and a series of small coves and beaches. Along the way we encountered beautifully weathered rock formations that were simply too interesting not to capture with our lenses. As our scenic trek wound down we stopped at a small beach with a gorgeous outlying view of a pair of rock formations off shore silhouetted in the fading light. 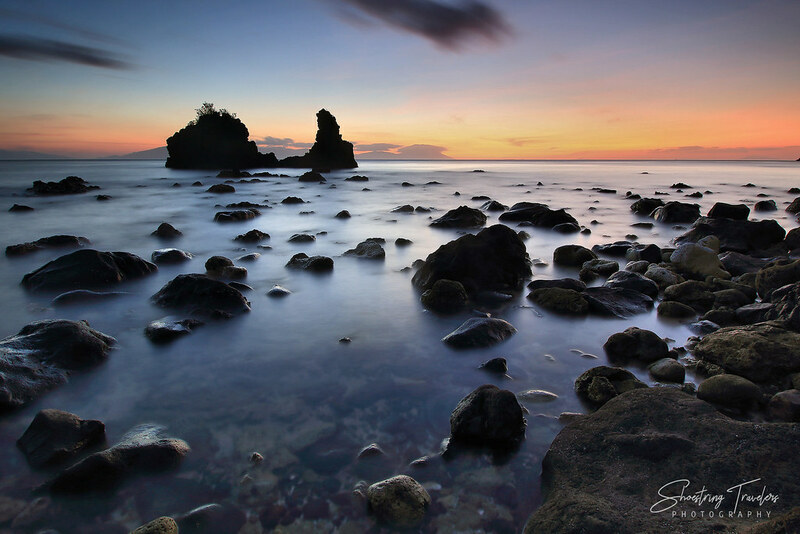 The coastline of this section of Tingloy faces almost west, giving us stunning sunset views. Very few visitors make it to this area, making it the place to go for moments of peace and solitude. There’s even more to Tingloy beyond the Lagoon and the succeeding coves. On our second day at Masasa Beach we hopped aboard a small motorized outrigger for an island-hopping, beach combing trip to the northwest corner of Maricaban Island – the subject of our next post. 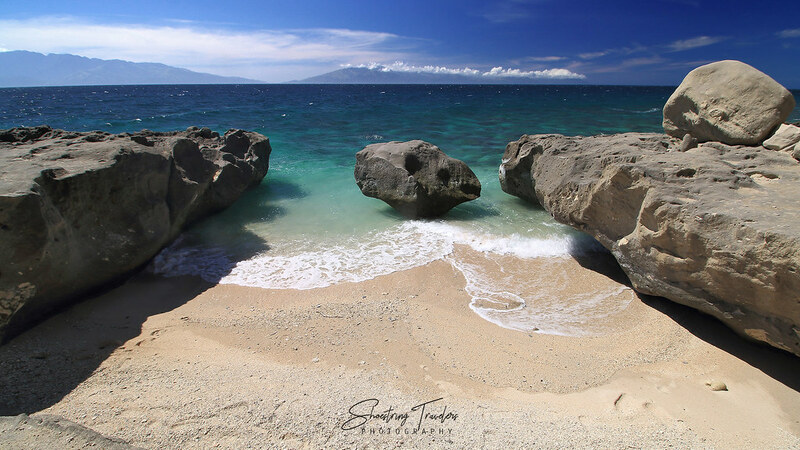 Posted in Batangas, Travel PhilippinesTagged Batangas, beach, featured, lagoon, Maricaban Island, Masasa Beach, rocks, sunset, TingloyBookmark the permalink.